EMPLOYERS hired 312,000 new employees in December, according to a report issued Friday by the U.S. Department of Labor. American employers added 312,000 new jobs in December, a sharp increase over the estimate of 180,000 originally projected. The news of the upbeat hiring report spurred a positive reaction on Wall Street, as the Dow Jones Average rose by 747 points. The Labor Department reported Friday that the jobless rate actually increased to 3.9 percent because more people entered the job market. In addition, the agency reported that average hourly pay was up 3.2 percent over last year at this time. Some of the hiring is likely to be seasonal in response to retailers seeking employees to deal with holiday shopping, but the big surge was considered encouraging coming as it did during a tariff war between the U.S. and China, and concerns about a possible recession on the horizon. The biggest hikes came from health care and education (up 80,000 jobs), restaurants and drinking places (40,700 jobs) and construction (38,000), according to the Labor Department. 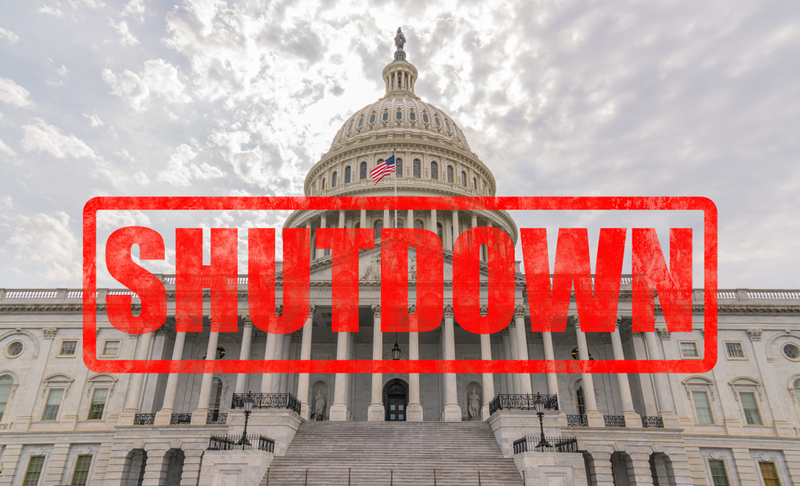 In the latest struggle over the partial shutdown of the federal government, President Donald Trump reportedly said he could keep the shutdown – now two weeks old – going for months or even years. The remarks were made in a closed-door meeting between Trump and Congressional leaders, but the president later confirmed his remarks. “Absolutely I said that. I don’t think it will, but I’m prepared,” he said. Democrats – now in a majority of the House of Representatives, which controls spending – are opposed to the border wall between Mexico and the U.S. that President Trump is pushing for, with an estimated cost of $5 billion. Trump says he will not sign any bill that doesn’t fund the wall. On Thursday, the House passed a bill appropriating $1.3 billion for border security, but it’s considered unlikely that the Republican-controlled Senate will approve it, or that the president would sign it. Also raised was the possibility that Trump could declare a national emergency and use funding earmarked for military construction projects to build the barrier.